I’ve been a fan new juices for some time and usually post about them after trying them out. I came across this new juice called Gloji packaged in a light bulb like container mixed with apple juice or pomogranite, and I’m sure many other buzzy fruits like Acai soon. If anyone can find them, let me know how it tastes. YawnLog (beta) simply lets you log your sleep time. Once you start using YawnLog you’ll understand your sleep time a bit more, how much sleep you get a day, week, month, or even how your sleeping patterns compare to friends, families, schools, cities, etc. Eventually these logs will be broadcast via twitter, facebook, etc, but what I’d really like is someone to figure out a smart way to auto log these sleeping patterns.. maybe connecting some sensor to your bed or pillow, alarm clock, lights, or something to automate this log. I’ve only tested Yawnlog for a week, but it’s pretty obvious I don’t get much sleep on the weekedays, and hibernate on weekends. I do have this thought that students at art schools get much less sleep than other schools but who knows. I’m one of those crafty types that fold the paper sleeve you get with chopsticks in a restaurant to make a neat little stand to rest the sticks on, though usually I’ll get lazy and just fold the sleeve a few times. We’ll, if your one that likes disposable chopsticks, but want something a bit more clever, simple, and fun, check out these Bambu SnapStix which add an extra cut on the back end of the chopsticks which snap off to become a stand. sweet! You can get them for about $2 each. Moq7 introduces the world to some pretty clever projects such as the Brush and Rinse fountain toothbrush before they become real. The idea is to expose great ideas to the world and let them decide if it’ll ever make it out to the real market by reaching an MOQ (Minimum Order Quantity). An MOQ is needed before a manufacture will actually produce that specific product for a given cost. The more (thousands) orders, the lower the cost. The benefit to Moq7 is that early purchasers act like supporters, where an early order will get you the real product for a great price, but also help reach the MOQ minimum allowing them to hopefully manufacture many more to retailers around the world. Give Moq7 a look, check out some cool concepts, and submit any ideas you have. It’s very similar to Threadless in the sense that people submit ideas, people place orders, and once a certain order amount is made by the thousands of other people in the world, it becomes real, and people are happy. “Moq7 is the world’s first discount pre-seller of next generation products. We help manufacturers meet their concept product MOQ’s by offering consumers the opportunity to pre-order next generation goods at closeout prices in a concerted effort to boost innovation and create jobs. MOQ (Minimum Order Quantity) is the number of units that must be manufactured in order for a product to be produced and sold at a reasonable price – high volume / low cost. We pre-sell items prior to production to help manufacturers raise the start-up capital they need to produce the item. The sale price is further reduced for our buyers to reward them for placing orders prior to production. If you’re not familiar with Ideablob, it’s a pretty simple, but brilliant, concept. Participants (or blobbers, as they’re called) post an idea, and the ideablob community votes for what they think is the best. Winners receive, in addition to the prestige of being a champion blobber, 10,000 seed capital towards the development of their idea, and there’s a new winner every month. Simple, but brilliant. 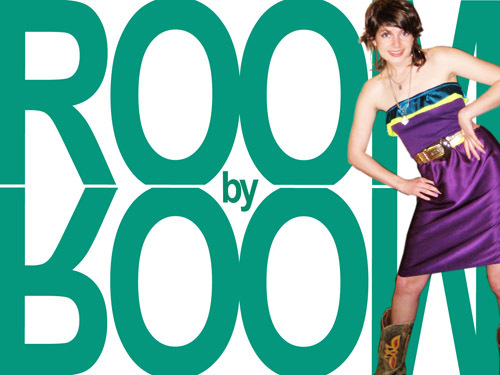 This month, we’re proud to announce our friend Sami Nerenberg is a finalist with her idea, Room by Room! Room by Room is an eco-home redecorating reality show for low-income housing where ten inner-city high school students will participate in six weeks of eco-design bootcamp for a chance to win a health home make-over. Sami is brilliantly talented and incredibly motivated, serving as the youngest adjunct faculty at RISD (where she’s also an alumn), a member of Grain Design, a Timberland Earthkeeper Hero, and an all around awesome person. She’s got tough competition (including Paul Polak, who we also love), but with the Brown University’s Community Environmental College behind them, the Majora Carter Group as their media consultant, Timberland as their publicity outlet, RISD as their cohorts,we think they’re in good shape. You can vote for Sami and see the Room by Room preview here! A classic foundation project that occurs at RISD during one’s freshmen year is making a chair with no glue or cuts with only folds using 1 large sheet of corrugated cardboard, and bonus points for including a table of some sort. The above video is a result of Danny Kim’s quick exploration on this project. There are a few more online if you dig around, but I’ve always wondered why such great projects like his never make it to market even if using a different material? Cost, manufacturing, longevity, uniqueness, business, too creative, market. Maybe I’ll just make a few for my house. Just in time for the 50th Anniversary of the Guggenheim Museum in New York, Lego has begun to produce an Architecture Series, starting with a collection of six Frank Lloyd Wright buildings. Among the collection, of course, will be the Guggenheim Museum and Fallingwater, and all six are available at the Guggenheim gift shop or Brick Structures. Great gift for designers! Walking the aisles of New York’s International Contemporary Furniture Fair this weekend, it was clear that the Recession was hitting the design world pretty hard. The show seemed to be only 70% of the size of years past, and those who were showing tended to be showing smaller, more affordable products. There was still some good work to be seen, though, including what we thought was the highlight: Kikkerland’s booth. That’s right, the highlight of the the show was’t furniture at all– it was the booth at Kikkerland, can-structed of 2000 cans of soup, to be donated to New York’s hungry through City Harvest after the show was taken down. Designed by Jan Habraken, the booth was a recession-friendly, environmentally-benign, and captivating show-stealer. Check out a couple more photos after the jump! “The Improv Everywhere book comes out today! Causing a Scene, Extraordinary Pranks in Ordinary Places with Improv Everywhere is available in bookstores all over North America. The book comes out in Australia on May 28. You can also order it online at Amazon. Causing a Scene is the behind-the-scenes story of Improv Everywhere, with an in-depth look at some of our most successful pranks over the past eight years. It’s written by Improv Everywhere founder Charlie Todd and Improv Everywhere senior agent Alex Scordelis, and contains many awesome photos by Chad Nicholson. You can read the first two chapters online. Thought of the week: Exploring new environments pushes for progression, but don’t always go in with the knowledge you carry from your past. Go in with experience, not necessarily your knowledge. – Compact Kitchen : an immersible kitchen table set. – Economy Vending Machine: It dispenses when the economy stumbles. – Objectified Documentary: it’s playing in Boston next week. – Diesel Side Watch: Putting time on the edge, not face. – Potato Portraits: face prints on potatoes…neat. I found this sliced up paper graphic incredibly amusing. From the work of Brain Banton. The New York Times has a great summary about recent buzz about one of Googles main designers, Mr. Bowman, leaving his amazing job for a very simple reason. Design was being trumped by data. This is not to say data is wrong or bad, but sometimes data is not how choices should be made. I’ve had this exact emotion when decisions are made by some sort of point system rather than by a gut reaction from experience. First off, not every data point has equal value, and even if data points are given different weights, it’s just wrong to do this from a design perspective. Emotions can’t be quantified. And every time I tell this to an engineer they ask why not and the answer is exactly what I said, you can’t quantify an instinct, emotion, hence you cant ask me why. I’m sure emotions can be broken down to hundreds of dynamic elements, but to do so would just take to long to process, and data does not factor in reaction and adoption to well. I’m not sure if it’s something that is taught in design school vs a more technical field, but I’ve experienced so many industries that depend on some point system to make huge decisions which frankly makes me confused. This is not to say that the best choice doesn’t come forth using this methodology, but to make it a means is just not right. When it comes to something say more mechanical, I can understand why since robots are robots, machines are machines, but when it come down to something that deals with a human, it’s an incredibly different field since humans are so different, humans change, evolve, and most importantly we don’t even understand ourselves to determine what we do, understand, like, hate, etc… we are not robots, so don’ try to quantify us like a machine. I love data, and I’m not saying data does not help drive decisions, but take a step back and remember we as humans process quite a bit of data that can not be explained simply. Be instinctive with decsions and don’t alway look at pie charts, graphs, axis comparisions, numbers, or what the past tells you. Be a human if you are making products for a human. Data can predict pathways, but rarely can they see massive adaptive changes. Full nytimes article after the jump.